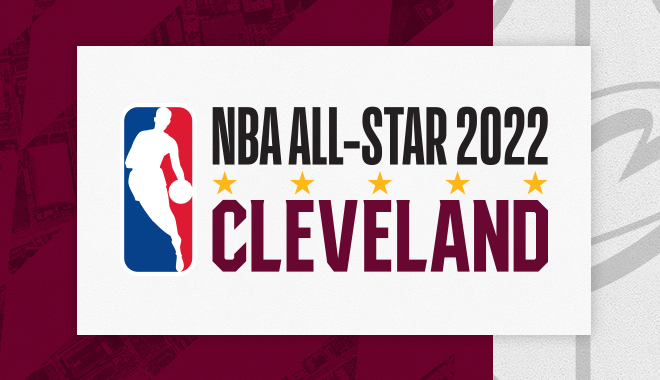 CLEVELAND, Nov. 1, 2018 – The NBA announced today that Cleveland has been selected to host NBA All-Star 2022, when the league will be commemorating its 75th anniversary. The 71st NBA All-Star Game will take place at Rocket Mortgage FieldHouse, home of the Cleveland Cavaliers, on Sunday, Feb. 20, 2022. The Cavaliers previously hosted NBA All-Star in 1997, when the NBA celebrated its 50th anniversary, and in 1981. NBA Commissioner Adam Silver made the announcement today during a press conference at Rocket Mortgage FieldHouse, where he was joined by Cavaliers Chairman Dan Gilbert, Cavaliers and Rocket Mortgage FieldHouse CEO Len Komoroski, Cleveland Mayor Frank G. Jackson, Cuyahoga County Executive Armond Budish and U.S. Representative, Eleventh Congressional District of Ohio, Marcia Fudge. With the current, large-scale arena renovations underway that will be completed in advance of NBA All-Star 2022, the game and extended activities in the transformed Rocket Mortgage FieldHouse will offer fans an enhanced experience. NBA All-Star oncourt events will tip off on Friday, Feb. 18 at Rocket Mortgage FieldHouse with MTN DEW ICE Rising Stars, an annual showcase for top rookies and second-year NBA players. On Feb. 19, State Farm All-Star Saturday Night will feature the Taco Bell Skills Challenge and the Three-Point and Slam Dunk contests. NBA All-Star 2022 will culminate with the NBA All-Star Game on Sunday, Feb. 20.